Let's get married! 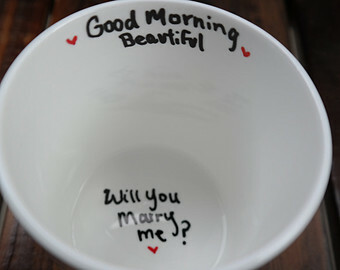 Let's just go somewhere and get hitched and live happily ever after! Some simple and meaningful scripts from all the love movies that you have watched your entire life. It seems pretty easy, get married and you will be happy forever after. I beg to differ. If you are not financially stable, the happiness will not follow suit. Do not get me wrong. Money = Happy is not the formula I am suggesting Less Money = Frequent fight over the lack of money + Unsatisfied feeling + Not enough for family + Less time with family is more like the formula that I am suggesting. In any religion, it does say that Rezki awaits anyone who seeks it. Meaning, you have to work for it and not just waiting for it to fall on your laps. With the current global economic situation, everybody is feeling the heat. In Malaysia, here are some of the examples of the wave. Even to have a decent breakfast, one have to plan the diet carefully. People might advise you "Cook and bring food from home". And the groceries are free nowadays? - I would say! To travel from work also need cash. Ditch the car and take the public transport, people will say. Owh... the public transport is free in Malaysia? Not to mention the punctuality of the service too. In order to get married, you have to have at least RM10,000 for the occasion - the food, the place, the clothes, the rings etc. After that, both of you have to start thinking about getting a place of your own, if you do not have one already. 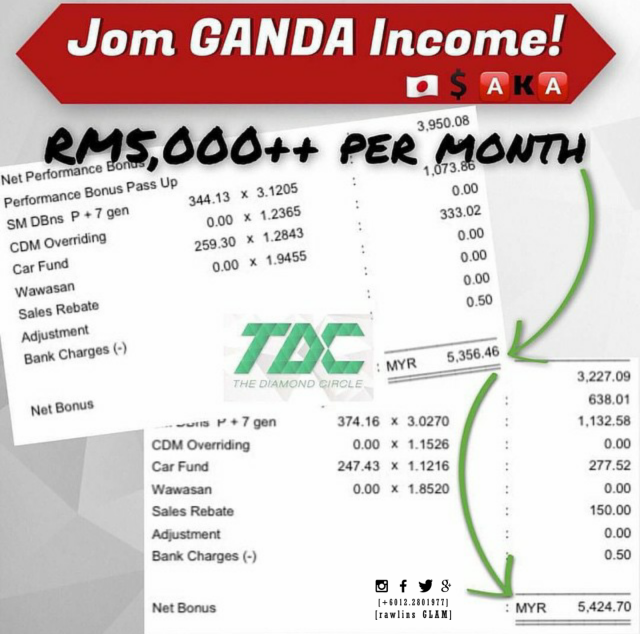 Just make sure that the monthly combined salary is more than RM6000. Then the little bundle of joy comes along - better start thinking about having a stay-in nanny or sending the little one to a day-care centre. Not just an ordinary one as you might get your baby back with bruises and all. So what do you do? Whine and whine all over the social media and get some sympathy whispers? Or do something about the situation? Hurm. Too costly to get married? In the end, be extra sensitive when you see a young guy/ girl that is still not married. It is not their choice. Anyway, let's do something to earn that extra income. Just spend extra 2 hours of your daily routine to earn that extra cash for your family. Just contact me so that I could share with you the secrets of generating extra income today. Yeah seriously it's a bit impossible to survive with all these living costs just going higher and higher lah. 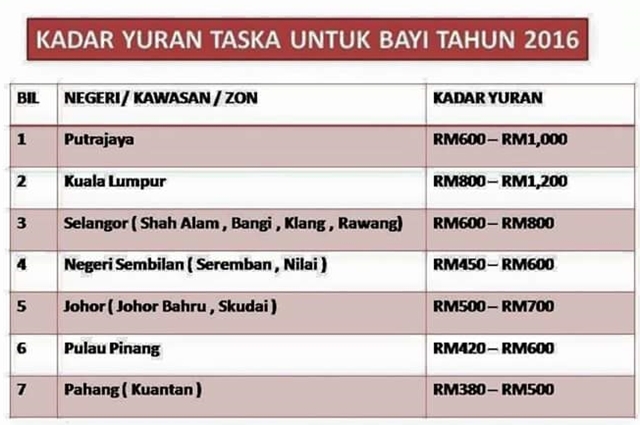 Nak beli rumah tak mampu. Nak beli kereta tak mampu. Nak kahwin lagi lahhhhhhhh. agree . nowaday... everything expensive. even i had married with 2 kid . we had to really working so hard . i getting poorer and poorer because of the toll, GST and petrol. 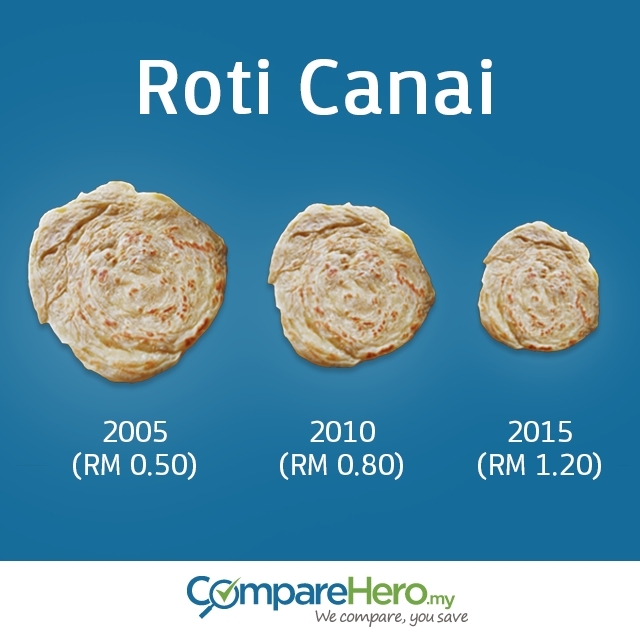 So sad... Salary still the same. Not even afford to buy own house. Reality is so cruel... Sad to say, whatever figure worked out, we really very hard to survive with nowadays trend..
gosh! from middle income now i fall to low income earner. WTH! hope my employer realize how small the money now. Yes, with kids have to work extra harder. Everything is expensive. The economic gaps also getting wider now. Yes, every employer have to realize the facts now and start closing in the economic gaps. Nice! I agree with you. Thanks for sharing. 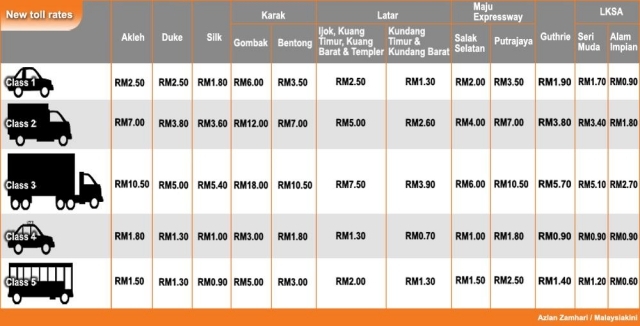 Plus the toll also naik harga! Travel is also hard but salary tak naik lol T___T Susah nak hidup ni. I hope to have a simple wedding ceremony lor, but takkan u dun invite your relatives or let them know about it right? haha So it was not a cheap expenses also. What you have wrote is exactly true. 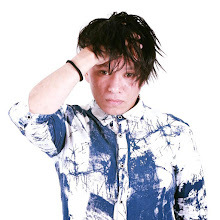 We have to work hard to fight for our life. 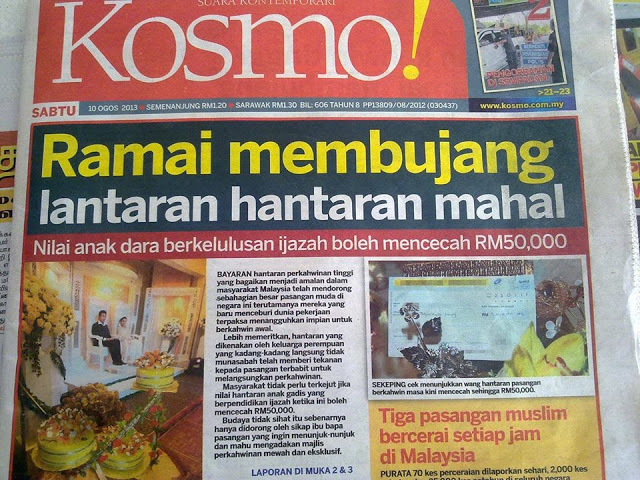 Well, I guess the only way is to be frugal and avoid spending RM10k on your wedding? luckily i got married already, and you're right, the expenses were over the top! a guy's savings can be easily wiped out over marriage. Betul Sharon. When you invite, mesti makan pun kena best. Kalau tak nanti bising pula. Survival is the key nowadays. Never giving up is the key! But I wonder, how long can one endure such hardship before breaking down. Invite a few relatives only perhaps. This is the reason why I don't wanna get married and have kids yet. Not ready. Getting married is two people's business right? One of the reasons I didn't want to get married is because of this. I didn't think I'm really financially to get married yet. The costs of living is increasing, that's for sure. Am I dying of hunger? No. It may sound conceited, but I find the increasing costs as an annoyance rather than a disturbance. 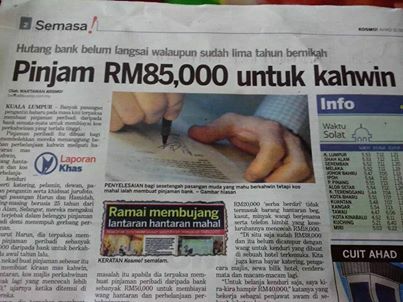 Keep in mind, I'm surviving on RM650 per month, including all of my living expenses. It's annoying that I have to pay so much more extra for groceries and stuff and I wished I could don't pay it, but we live life within our means. I would have love a better life, where I don't have to live so spartanly, but at this current moment, I'm happy with my life. But you're right. Getting married is a different ball game altogether. I am amazed that you living on RM650 salary. You are correct, live within our means.